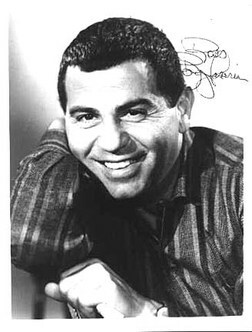 Bagdasarian’s stage name was “David Seville” and under this name he scored his first #1 in the summer of 1958 with the song “Witch Doctor.” This song was Bagdasarian’s first experiment with the V-M tape recorder he bought which varies tape speeds. He sped the audio track on “Witch Doctor” to give it a high-pitched voice. His success further continued during Christmas 1958 when he recorded “The Chipmunk Song” with The Chipmunks, for which he won two Grammy Awards for Best Comedy Performance and Best Recording for Children. He subsequently named the three chipmunk characters are record executives: Simon Waronker, Ted Keep and Alvin Bennett. Throughout the 60s, Bagdasarian continued to record and provide the voice for the Chipmunk characters. He died of a heart attack in 1972, a few days shy of his 53rd birthday. Bagdasarian’s son, Ross Bagdasarian, Jr. has continued the “Chipmunk” franchise.